When Diane Marcell unlocked the door to her Albuquerque, New Mexico home just before noon on Sept. 11, 2008, she was expecting to meet her daughter Brittani Marcell there for lunch. Instead, she was confronted with a sight that is seared into her memory. Brittani, the fifth-born of Diane’s seven children, was lying on the ground just inside the house, covered in blood, and a man was standing over her holding a shovel. (Marcell Family) Brittani Marcell is seen here in this family photo taken in 2007. Brittani’s purse, shoes and the CDs and DVDs that she borrowed from the library that day were scattered on the ground, dropped as she was hit in the head by the man wielding the shovel. And the assailant was right there before Diane’s eyes. “He looked at me,” Marcell recalled. “He turned around, and he had the shovel in his hand still. That guy takes off for the kitchen, and he looked at me as he reached for the biggest butcher knife out of the knife block on the counter. (ABC News) Brittani Marcell's mother Diane Marcell is seen here during a "20/20" interview. Terrified, Marcell ran frantically from the house screaming, and a neighbor on the street came to her aid while she called 911. Unaware if the attacker was still inside, Marcell ran back into the house, desperate to save Brittani’s life. In fact, the attacker had escaped out the back. Until help arrived, Marcell stayed on the phone with 911. “Her face was already swelling," Marcell said. "Her head was swollen already from the beating. Her arms were bruised, and she was moaning." While EMTs rushed Brittani to the University of New Mexico Hospital, Albuquerque Police Department detectives stayed with Marcell at the house to get a description of the suspect. (Albuquerque Police Dept. ) 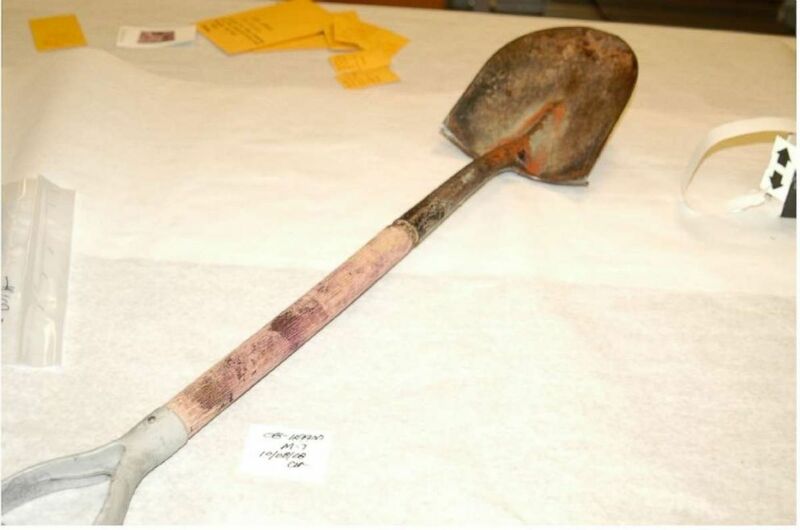 Albuquerque authorities say the suspect used this shovel to beat Brittani Marcell in her home in 2008. Investigators assessed the scene, trying to determine what actually happened. Morales collected the shovel the attacker was holding, as well as duct tape and a knife found at the scene. And there was something else left behind by the attacker that would prove critical to the case. In his haste to escape, the assailant broke through a large window, cutting himself and inadvertently leaving just one drop of his blood and thus his DNA behind. Brittani fought for her life in the hospital. Doctors discovered she had a broken left arm, a broken left wrist, multiple skull fractures, fixed pupils and minimal brain activity. “There was severe brain trauma," Marcell said. "They said that she did try to fight him off because she had severe bruising on each arm at the upper part. Her left wrist was broken, her jaw was broken." Brittani’s condition was listed as critical, and she was placed in a medically induced coma. There was no guarantee that Brittani would ever wake up, and if she did, no one was sure she would ever be the same. (Albuquerque Police Dept.) Albuquerque Police Dept. says the suspect who attacked Brittani Marcell broke this window at her mother's home. Diane Marcell went to the police station to help make a sketch of the suspect to release to the public. While police were fielding tips from the community about that composite sketch and running down leads, Brittani finally came out of her coma after ten days. She had no recollection of the attack or much else. The damage to her brain had robbed her of her ability to speak, walk, and swallow. It would ultimately take years of rehabilitation to get the young woman back to a place where she could function on her own. Her doctors removed part of her fractured skull to ease the swelling in her brain. They implanted it in her abdomen where it healed naturally before putting the skull piece back into her head. Her medical team covered the mirrors in her hospital room, afraid of how she’d react to her own reflection. “I've seen pictures of me in the first 24 hours, after everything had happened, and I was just like, ‘That's not, that's not me. That's not me,’” she said. 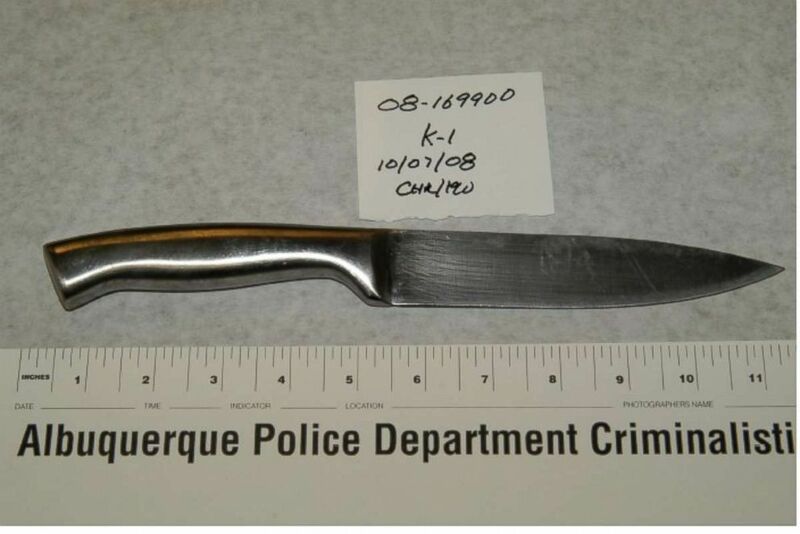 (Albuquerque Police Dept) Albuquerque authorities say the suspect grabbed this knife after attacking Brittani Marcell. After the attack, Marcell never returned to live in her home again. And with no arrests, she was paranoid that whoever had done this to her daughter could come back again. “Everybody was on my radar, I don't care if it was a friend," she said. "I don't care if it was a friend of a friend. A neighbor. A co-worker. I want to know who did it and I wasn't going to trust you." 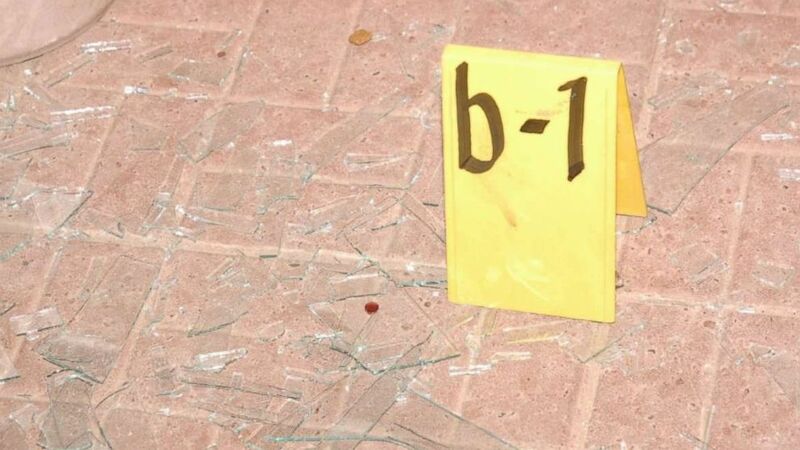 Morales said that authorities investigated dozens of potential suspects. “I would say that we spoke to approximately 40 to 50 people that either their name came up, either the family provided, somebody that called in,” Morales said. Detectives ran the sample of blood found at the crime scene through the National DNA Database hoping for a match to one of the 10 million offender profiles in the system at the time, but had no luck. As the months passed, friends and family put up billboards and turned to the media for help. At times, Marcell said she thought it was a case of mistaken identity and that she, herself, could have been the intended target. “I got out of a marriage because of domestic violence.” she said. “My ex-husband, he was a bitter person after the divorce. 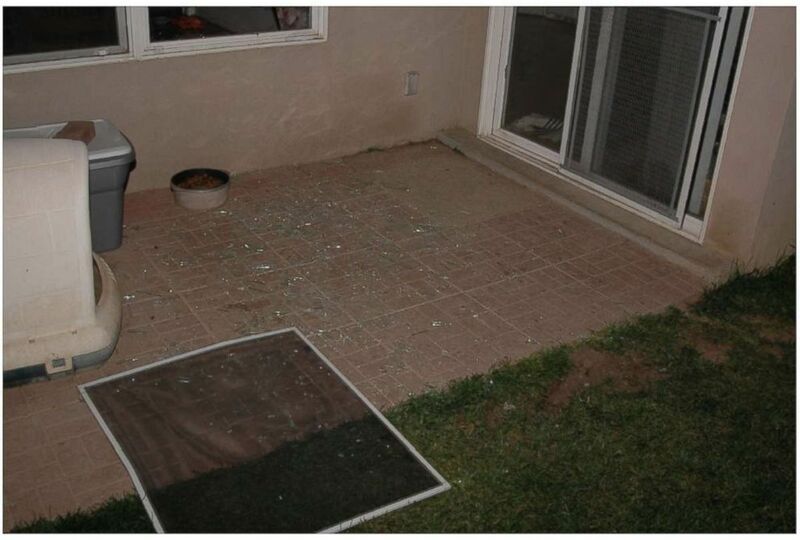 And somebody, one of my daughters, said, ‘Do you think dad could have done this?’"
(Albuquerque Police Dept.) 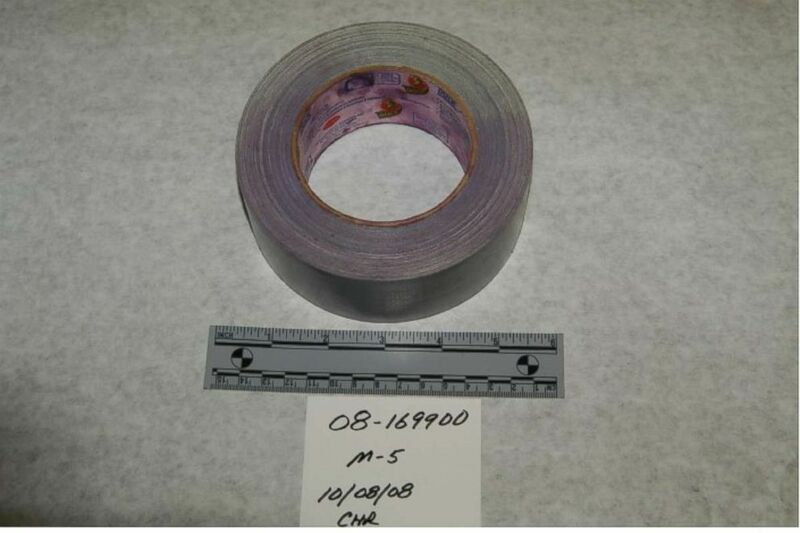 Albuquerque authorities say this roll of duct tape was found at the crime scene where Brittani Marcell was attacked. Daughter Brittani was also left wondering who attacked her. “As a kid, I distinctly remember "her father being violent towards [my mother], she said. "And it was something you shouldn’t remember." Marcell also speculated that her ex could have been involved. “Maybe he, you know, had hired somebody at one point because he didn’t like me anymore, and they got the wrong person,” she said. But detectives spoke to her ex-husband and ruled him out as a suspect. He died in 2013. 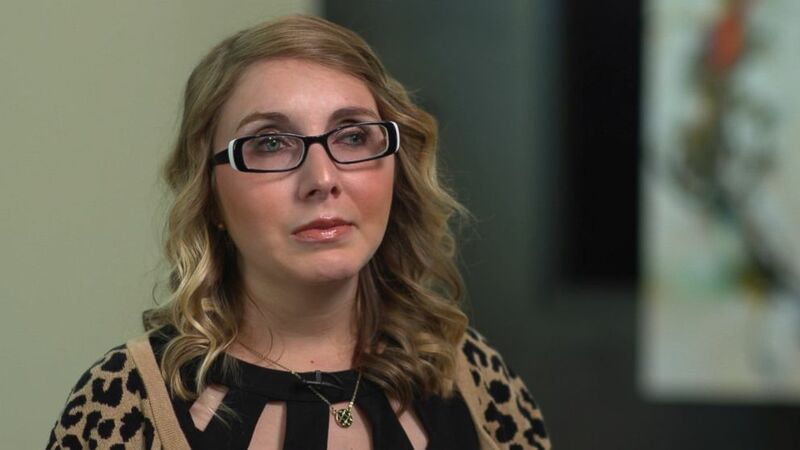 After three months in the hospital Brittani was moved to a rehabilitation center in Texas that specializes in treating patients with traumatic brain injuries. There she continued to improve eventually earning her high school diploma, but her attacker remained on the loose. Marcell's daughter Alicia said the uncertainty has cost the family. “I think that to stay mentally and emotionally healthy, we had to give up a little,” she said. David Waymire, a deputy district attorney in Albuquerque, was assigned to the case in 2010. So two years after the attack, Waymire did something that had only been attempted once before in New Mexico. He indicted the DNA profile itself from that drop of blood without even knowing who it belonged to. This way when they finally found the attacker they could attach his name to the existing indictment and ensure that he faced all possible charges. “Our belief was that, that would be a proper way to protect a case against a statute of limitations running where we knew who the suspect was, even if we didn't know them by name,” Waymire explained. (Albuquerque Police Dept.) Broken glass found outside Diane Marcell's home where police say her daughter was brutally attacked in 2008. In the summer of 2013, five years after Brittani’s attack, her mother picked up the phone and called a sergeant at the Albuquerque Police Department. Marcell told him it was time for a new detective to take a fresh look at the case, and the call she got back was the answer to her prayers. Detective Jodi Gonterman had been assigned to the case. Gonterman had a reputation for being relentless. She was just the person that Marcell was looking for to take on her daughter’s case, which was growing colder by the month. One of Gonterman’s first moves when she came onto the Marcell case was to have Brittani meet with a forensic psychologist who hypnotized her, trying to draw out any memories of the attack buried under trauma. “I wasn't so convinced that her loss of memory was due to brain damage," Gonterman said. "I thought it could have been that she was suppressing the traumatic memories that she had." After undergoing hypnosis, Brittani said she began to remember details about her attacker. Brittani described her attacker as a tall male and didn’t remember seeing any visible tattoos. She also said the attacker’s eyes were brown. With these new details, Gonterman had an updated composite sketch released. (Albuquerque Police Dept.) This drop of blood was found at the crime scene after Brittani Marcell was attacked. Gonterman also sought out a cutting-edge DNA test called a Parabon Snapshot that promised to extract more identifying information than previously possible from the drop of blood. “They would take a DNA profile, and they would give us hair color, eye color, ancestry, and then they do a 3D computer-generated image of what your suspect’s going to look like,” Gonterman said. “I was skeptical, but it was an encouraging sign to attempt it, to do anything that could build on what we knew was our single piece of DNA evidence,” Waymire said. 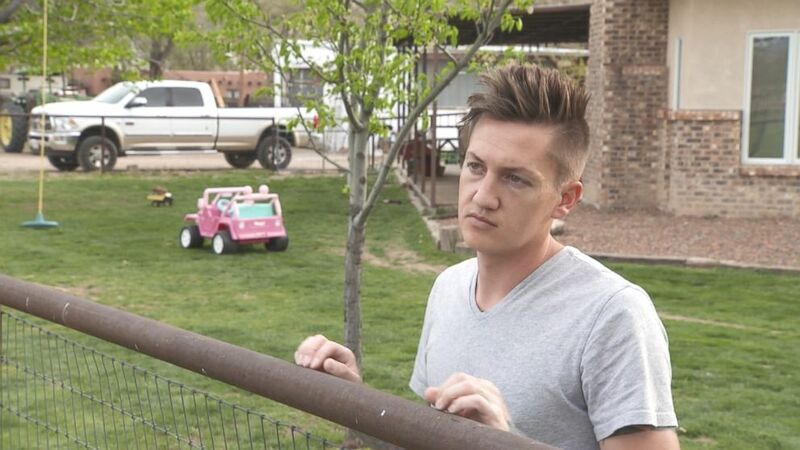 While Gonterman waited for the computer-generated image to come back, she got a call from Brittani, who said a name popped into her head that she couldn't stop thinking about. But Brittani had no memories connecting Hansen to the attack. Hansen is seven years older than Brittani - who says she met him years earlier though a friend. “When I was in middle school, I had a best friend named Abby, and she had an older sister named Lauren. Lauren ended up getting pregnant by him, whenever I went to Abby’s house or so, he would be over with Lauren,” Brittani said. By the time she got to high school, Brittani says her friendship with Abby had soured, but every once in a while, when she was working at the mall, she says she would still see Hansen. Gonterman quietly gathered background information on Hansen, and when the Parabon Snapshot DNA-generated picture came back, she was stunned. “I thought, ‘Wow, it looks so much like him,’” Gonterman said. (ABC News) Brittani Marcell is seen here during a recent interview with "20/20." The profile also indicated that there was a high likelihood that the suspect would have either green or hazel eyes, a unique eye color that also matched Hansen’s eyes. “At that point, Justin Hansen did jump to the top of the list as a suspect,” Waymire said. Hansen was at home with his wife and three small children when Gonterman showed up unannounced. “He was very friendly," Gonterman said. "He answered my questions." But, at the end of the interview, Gonterman said, things changed. “When I asked him, ‘Can you give your DNA? We want to exclude you.’ He changed at that point,” she said. In video of the questioning at Hansen’s house, Hansen is heard expressing his concerns. “When I asked Justin, ‘Have you ever been over to that house? Is there any reason that your DNA or your blood will be in that house?’ He said, ‘No,’” Gonterman said. On the video, Hansen tells Gonterman he wants to think about giving authorities his DNA and talk to his mother, and would get back to them in a day or so. 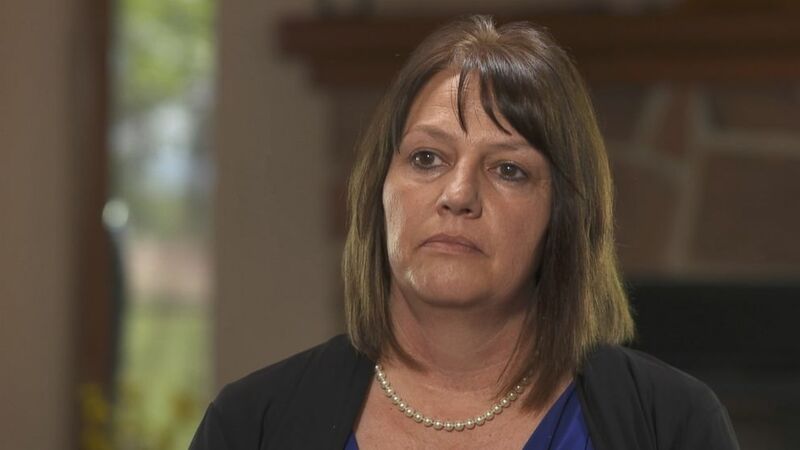 But after a week with no word from Hansen, Gonterman tracked down Hansen’s mom Doreen Shoemaker, who said she couldn’t understand why detectives were so fixated on her son. 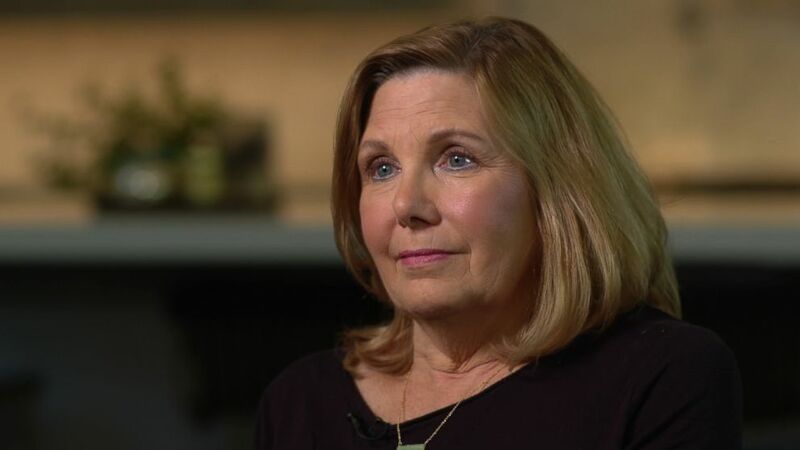 (ABC News) Justin Hansen's mother Doreen Shoemaker is seen here during a "20/20" interview. Gonterman also spoke to Lauren Hull, who was the mother of Hansen’s oldest son and at whose house Brittani had first encountered Hansen. In addition, Hansen has tattoos and green eyes, which doesn’t match the description Brittani gave after hypnosis. 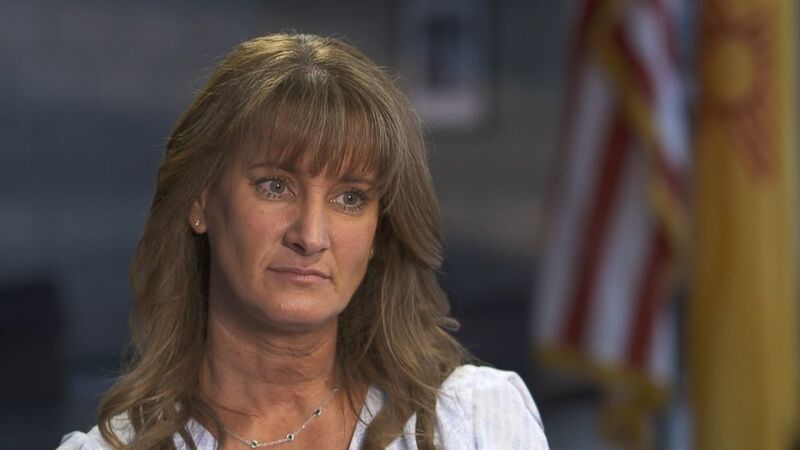 Brittani said that even though some of her early recollections of the attack may have been inaccurate, she has continued to recover memories and now remembers seeing Hansen that day. Gonterman, undeterred by these inconsistencies, says she was convinced that Hansen’s DNA would prove he was the person who attacked Brittani, but even after asking him again, Hansen refused to give her a sample. Gonterman came up with a new plan. She asked undercover detectives to follow Hansen and get a sample of his DNA. “He was at a fast food restaurant drinking from a cup, and he threw that cup into the trash can and then left,” Waymire said. The detectives retrieved the cup. A crime lab analyst tested the sample against the DNA from the blood found at the crime scene and it was a match. “I jumped up," Gonterman said. "I started screaming. That turned into crying." (ABC News) Det. Jodi Gonterman has been with the Albuquerque Police Department for 17 years and picked up Brittani Marcell's case in 2013. The next day, while Hansen was shopping at the grocery store with three of his children this past July, several officers moved in and arrested him. His name was later attached to the 2010 indictment of the unidentified DNA, and he was charged with numerous charges including attempted murder. A week later, the father of four appeared in court for a bond hearing. Although they are no longer together, his now ex-wife Alyssa Hansen defended Justin Hansen. “Justin’s probably the most selfless person I’ve ever met in my life and he’d do anything for anybody besides himself,” Alyssa Hansen testified. Because Justin Hansen had no prior criminal history, the judge allowed him to be released on bond pending the start of his trial. Hansen has denied attacking Brittani. He and his mother have also questioned why the DNA evidence on the weapons at the crime scene doesn’t match Hansen’s DNA. Hansen’s mother believes additional testing on those weapons might exonerate her son, but that can never be done. Back in 2015, when the original detective on the case was preparing to retire, a clerical error led to the destruction of almost all the evidence in the case -- nearly a year and a half before investigators had even heard of Hansen. “That included everything, from the shovel, the knife, the duct tape -- a lot of the other DNA evidence and blood swabs,” Waymire said. “It was an accident," Gonterman said. "I’m sure it was a mistake, but it happened." (ABC News) Justin Hansen is seen here during a "20/20" interview. However, Waymire said he believed the evidence from the drop of blood was strong enough to convict. 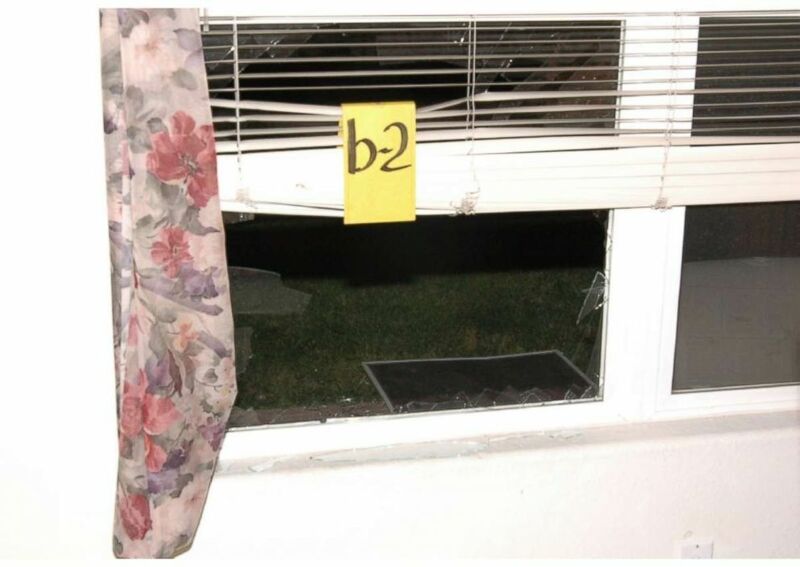 “The blood evidence - there is no explanation for that that can be reasonably offered - other than the fact that what was left at the time of the attack by the perpetrator himself as he broke that window and fled,” Waymire said. This April, a week before he was set to go on trial, Hansen pleaded no contest to attempted murder and aggravated burglary but did not admit guilt. Prosecutor Waymire said the plea deal forgoes the uncertainty of a trial, while ensuring Hansen will be punished. Hansen said taking the case to trial, where he faced a possible 50 years in prison if convicted, was too big of a risk. He said he accepted the plea to minimize the amount of time he will have to be away from his three small children. As part of his plea, Hansen now faces up to 18 years in prison. A judge will make the final decision next month. As for Brittani, after a decade of fear, she’s ready to move on. “I think if you have a strong mindset [as] to what your next goal is, I think you can get through it,” Brittani said. “She’s a survivor. I look up to her,” said Diane.